To translocate an animal is to move it away from its own location to another, that is to say, to catch it, take it to a new location and release it there. This action, though it could apparently seem irrelevant, widely affects the animal’s survival, the state of the populations (both the source and the recipient population), and, in general, the conservation of the herpetofauna. There are already many scientific studies focused on the influence of translocation on reptiles and amphibians. Translocation is considered to negatively affect the animals in the long- and short-term. Translocated animals show significantly higher levels of mortality than non-translocated animals. 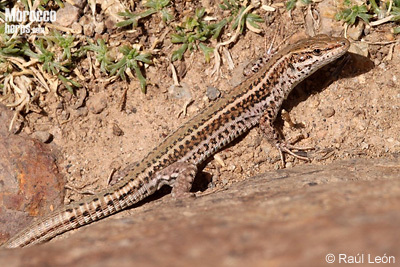 — Higher risk of mortality and loss of body condition: Several studies using radio tracking techniques on lizards such as the desert monitor (Varanus griseus; Ibrahim, 2002) and the Gila monster (Heloderma suspectum; Sullivan, 2004), on snakes (Nowak and Riper, 1999; Reinertand Rupert, 1999; Butler et al., 2005; Brownet al., 2009) and on frogs (Rathbunand Schneider, 2001; Matthews, 2003) have demonstrated that translocated animals show stress signs, weight loss, lower body condition and unusual displacement patterns consisting in greater exploration distance per day and more frequent exploratory activity. These observations suggest that, by roaming over those large distances, animals could be trying to come back to their original locations. In fact, those studies show instances of animals that managed to do so. However, another possibility is that those animals would be attempting to find a new and safe territory to establish their selves. During these attempts, they would suffer weight and body condition loss, and thus a higher risk of mortality, due to predator overexposure, deaths on roads, etc… all of what has been shown on the cited studies. — Disease and parasite transmission between populations: Think of a population with a special disease or parasite. If we translocated individuals from this population to another population where that disease or parasite is not present, we could be negatively affecting this recipient population by introducing the disease. If that disease was highly virulent for amphibians and reptiles, the population could be then wiped out or be badly affected. If the disease was not extremely virulent, the translocated individuals could act as carriers for the disease due to their resistance, transmitting the disease to other individuals of the same and different species. Even for highly virulent diseases, it is often the case that some species are resistant to them and act as carriers without suffering the symptoms. One of the best examples of this is the spreading and transmission of chytridiomycosis between amphibians all over the world. Possible mechanisms of spreading it out are by translocating infected amphibians from an infected population to a “healthy” population, by translocating other aquatic animals (e.g. some snakes, turtles, fishes, etc. ), by translocating species that act as carriers but do not suffer the disease, etc. For other diseases or parasites the mechanisms for spreading them out could vary. — Alteration of the natural isolation pattern and gene flow: This involves effects such as loss of genetic identity or genetic pollution. It basically refers to the fact that each population - its individuals - shows certain adaptations to its habitat. Therefore, individuals from a certain population have their own genetic identity. The translocation of individuals between populations could cause the loss of that genetic identity, that is to say, it could lead to genetic pollution, and thus to a decreasing of adaptation and survival in the recipient population. To sum up, it should be already clear that the translocation of an individual is highly detrimental to the individual itself and to the recipient population, besides acting as an important threat to the herpetofauna. Therefore, this type of practice should be avoided; animals should stay at their habitats. As it has been demonstrated by many studies, if we translocate an individual, it will more than probably perish after some time due to a decreasing in its life expectancy via the mechanisms discussed above. Even if the individual did not die, different problems could affect the population. People interested in these animals, naturalists and so on should not carry out these practices for the sake of the fauna’s welfare. Therefore, we advise to watch and take pictures of the animals exactly at the same place where they were found. After naturalist or research-related activities, animals should stay in their habitats. 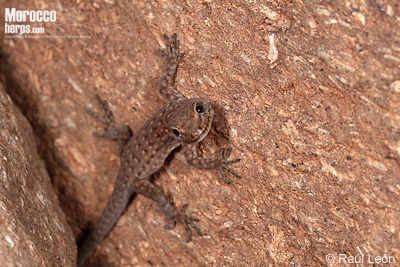 Examples of in situ pictures of Moroccan reptiles and amphibians. Top left: Acanthodactylus longipes, probably, Merzouga. Top right: Pelophylax saharicus, Sirwa. Bottom left: Quedenfeldtia trachyblepharus, Sirwa. Bottom right: Podarcis sp., Sirwa. Photos: © Raúl León. — In relation to conservation projects where urgent actions must be done. However, due to the mentioned problems, the viability and the problematic regarding translocation, relocation, repatriation, etc. are still under debate. — In relation to more specific instances such as when an animal is in conflict with the local human population and its risk of death is high. For example roads, houses, residential areas or when the animal is trapped into anthropic structures such as water tanks, wells, etc. Probably the best choice, but only in highly justified and necessary instances, would be to move the animal away a security distance of few meters. We would like to insist that this should be only carried out in very specific instances, moving the animal away only few meters. For example, putting a reptile or amphibian out of a road to avoid it being killed by a vehicle when the animal appears still. Another example is taking an animal out of an anthropic structure where, otherwise, it would dye. For animals found on the road, it is highly recommended to release the animal towards its previous direction. To conserve the populations of reptiles, amphibians and other animals, do not translocate them please. Thank you for your collaboration. Acknowledgements: Octavio Jiménez Robles, Alfredo Sánchez-Tójar and Javier Gállego. Butler , H.; Malone, B.; Clemann, N. 2005. The effects of translocation on the spatial ecology of tiger snakes (Notechis scutatus) in a suburban landscape. Wildlife Research 32(2) 165–171. Brown, J. R.; Bishop, C. A.; Brooks, R. J. 2009. Effectiveness of Short-Distance Translocation and its Effects on Western Rattlesnakes.The Journal of Wildlife Management, Volume 73, Issue 3, pages 419–425. Ibrahim, A. A. 2002. 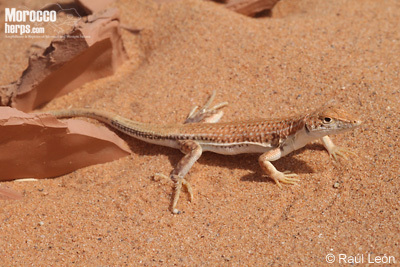 Activity area, movement patterns, and habitat use of the desert monitor, Varanus griseus, in the Zaranik Protected Area, Nort Sinai, Egypt. African Journal of Herpetology 51(1): 35-45. Nowak, E. M.; Riper, C. V. 1999. Effect and effectiveness of rattlesnake relocation at Montezuma Castle National Monument. Technical Report Series. USGSFRESC/COPL/1999/17. Nowak, E.; Hare, T.; McNally, J. 2000. Management of “nuisance” vipers: Effects of translocation on western diamond-blacked rattlesnake (Crotalus atrox). Pp- 533-560. En: Biology of vipers. Matthews K. R. 2003. Response of Mountain Yellow-Legged Frogs, Rana muscosa, to Short Distance Translocation. Journal of Herpetology, Vol. 37, No. 3, pp. 621–626. Rathbun, G.B; J. Schneider. 2001. 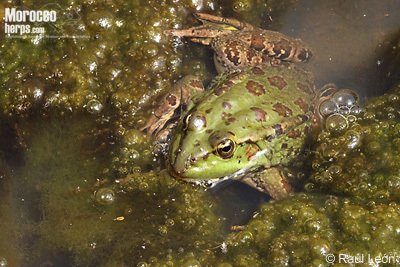 Translocation of California red-legged frogs (Rana aurora draytonii). Wildlife Society Bulletin 29(4): 1300-1303. Reinert, H. K.; Rupert, R. R. 1999. Impact of translocation on behavior and survival of timber rattlesnake, Crotalus horridus. Journal of herpetology, Vol. 33, No. 1, pp 45-61. Sullivan, B. K.; Kwiatkowski, M. A.; Chutt, G. W. 2004. Translocation of urban Gila Monsters: a problematic conservation tool. Biological Conservation, Vol. 117, Issue 3, pp. 235-242.